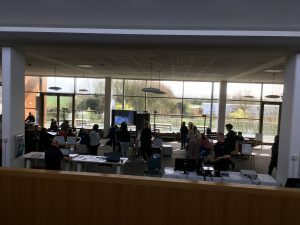 Young science and engineering enthusiasts thronged into the Institute for Manufacturing (IfM) on the West Cambridge site on the last Saturday in March, experiencing the IfM in Virtual Reality, having their pictures etched in metal by lasers, and learning about robots and how engineers change the world. The i-Teams What Would You Use THAT For? 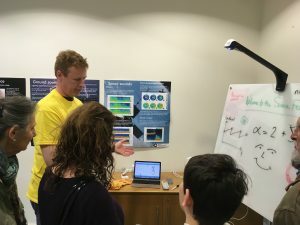 competition runs each year at the Institute for Manufacturing , and asks the entrants to imagine ways of using any of the technologies they had seen that afternoon. 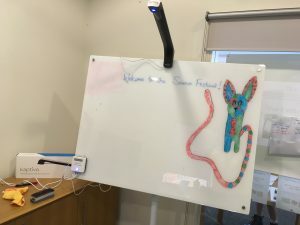 Attendees were able to try out a range of innovative science-based products which included live whiteboard sharing from Kaptivo, an interactive projector from Light Blue Optics and a personalised catflap from SureFlap, seeing first-hand how science really can improve our daily lives. 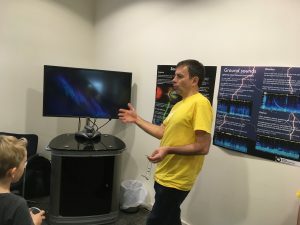 There was also a focus on sound, including sound recognition software from Audio Analytic, and a demonstration of “The Sounds of Space” from The British Antarctic Survey. 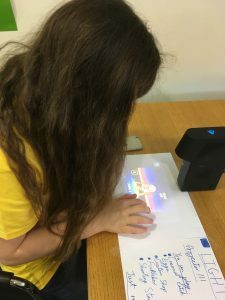 The winners will receive science-based prizes and a special certificate of their award-winning idea. We would like to thank everyone who took the time to enter the competition and provide their imaginative ideas.